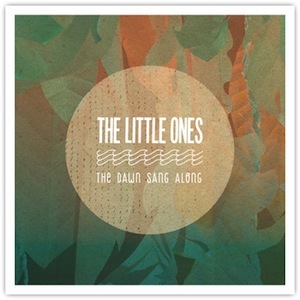 The Little Ones are back with an indie pop gem as their sophomore album. After a lackluster debut in Morning Tide, The Little Ones have once again graced us with the magic that was found on their first EPs. This band was gaining popularity during Indie 103.1’s (an LA indie rock music station that survived for a brief time) heyday. Since then they have continued to hone their craft and it shows on The Dawn Sang Along, which is being released on their very own Branches Recording Collective. Kicking off the album is “Agronauts” and it sets the pace of what to expect when listening to this band. Infectious choruses and rhythms that should have one dancing or attempting to. The Little Ones’ love and friendship can be held responsible for the joy and overall fun vibe heard amongst these songs. Tracks like “Boy On Wheels” could have easily been created during the ’60s pop explosion. “Art In The Streets” is an interesting track for the band, taking us on a bit of a music journey. Starting with an acoustic guitar and soft percussions, then slowly building, as the band continues to add layers, then switching tempos again. The album ends with “Ain’t It Like You & Me,” a very appropriate closer that will leaving you craving more, thus for listening to the entire album again.